Reginald, Robert. 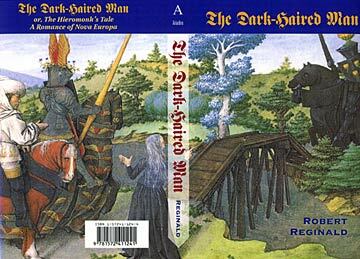 The Dark-Haired Man . Ariadne 2004. What if: The Emperor Julian did not fall before the Persians, and the Western Roman Empire survived in some form for another 1000 years. Series note: Series including The Dark-Haired Man The Exiled Prince , and Quæstiones . A fourth volume titled O Infinite Smile was announced but never published. Summary: Adventure in Eastern Europe in the year 1205. Series note: A Nova Europa tale. Published: Ariadne 2004 (1572411244w88 android). Summary: Two monks make a pilgrimage in the year 1270. Published: Ariadne 2005 (1572411260w88 androidBUY). Summary: A royal murder in the year 1450.